Grange House at Llanfrechfa has had a long and varied history and has within it many original and interesting features that can still be seen today. It was Grade 2 listed by CADW in 2001 for the quality of its Jacobethan interiors, especially the original drawing room and the stained glass in the chapel. We have been exploring the inside and outside and will be updating this page from time to time with more information and images of different rooms. The original mansion was built around 1848 for Charles Prothero and designed by local architect J H Langdon. 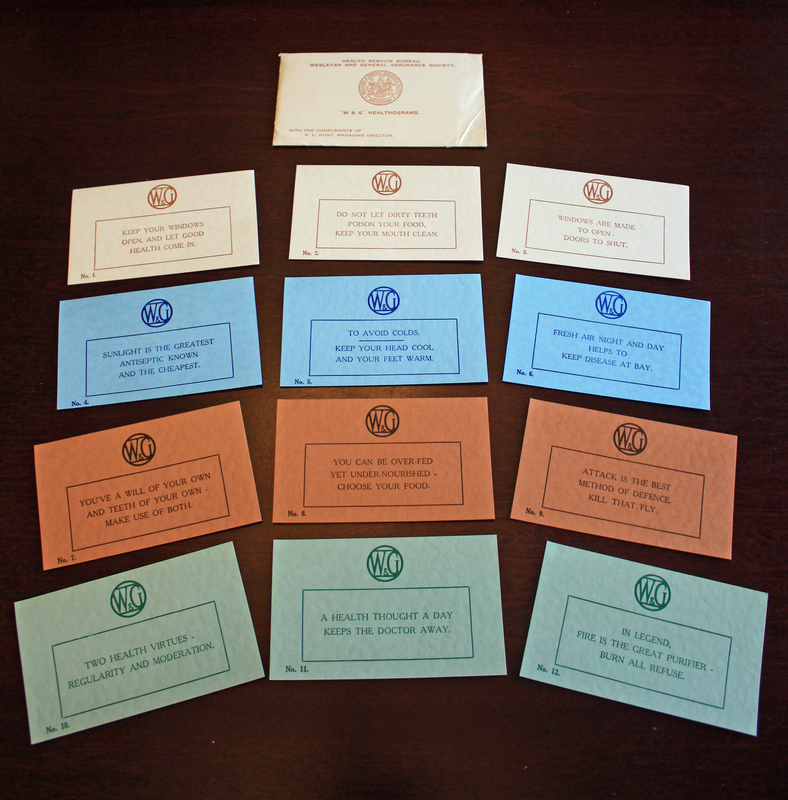 In 1860 the estate was bought by Francis Johnstone and Elizabeth Harcourt Mitchell as their marital home. 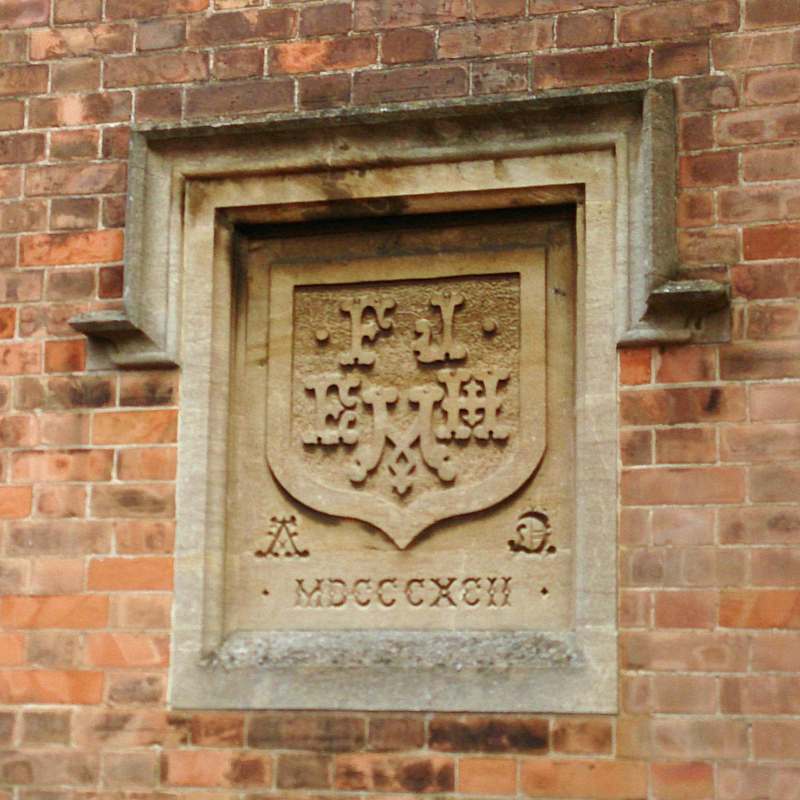 The Mitchells made many alterations and extensions to the house and attached their initials and crest to the front in 1892. The large ground floor room to the southeast was originally the drawing room with large windows, an intricate plaster-work ceiling and a grand fireplace – the timber over-mantle dating from the early 17th century. 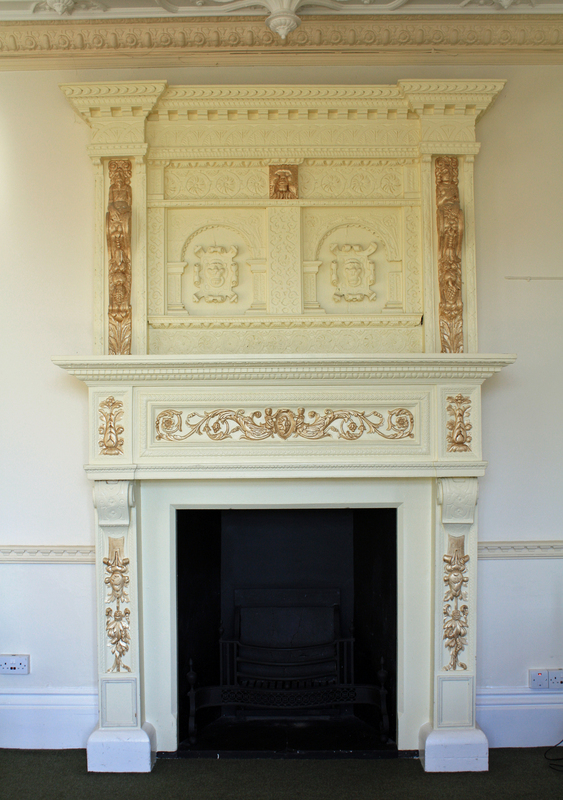 There are many plaster-work characters around the fireplace. 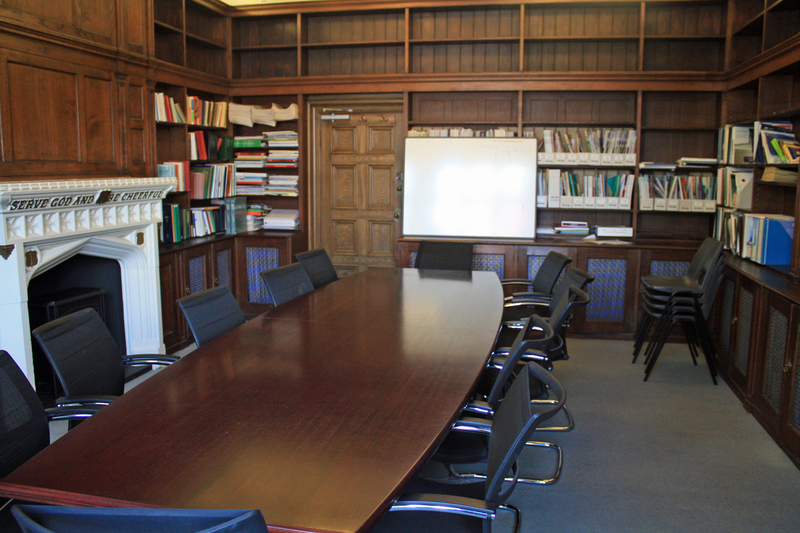 The room is now used as a Committee room and many will have had the chance to examine its fine details. 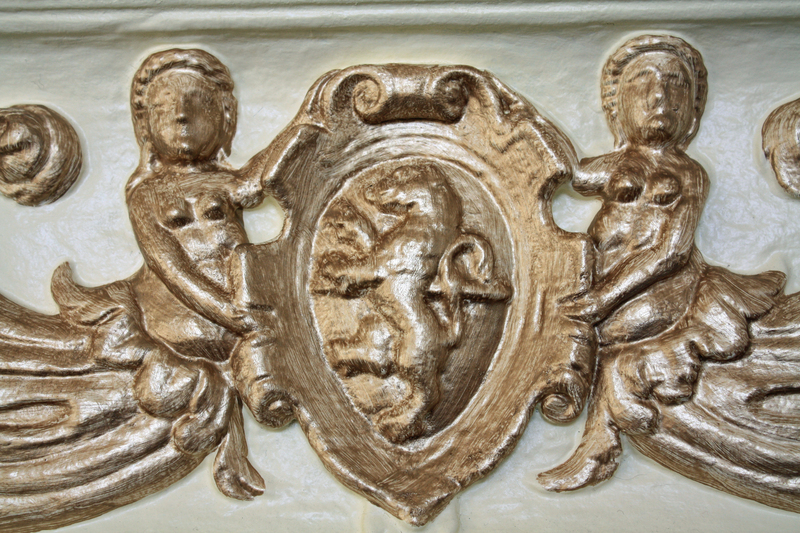 The chimney-piece in the Committee Room. 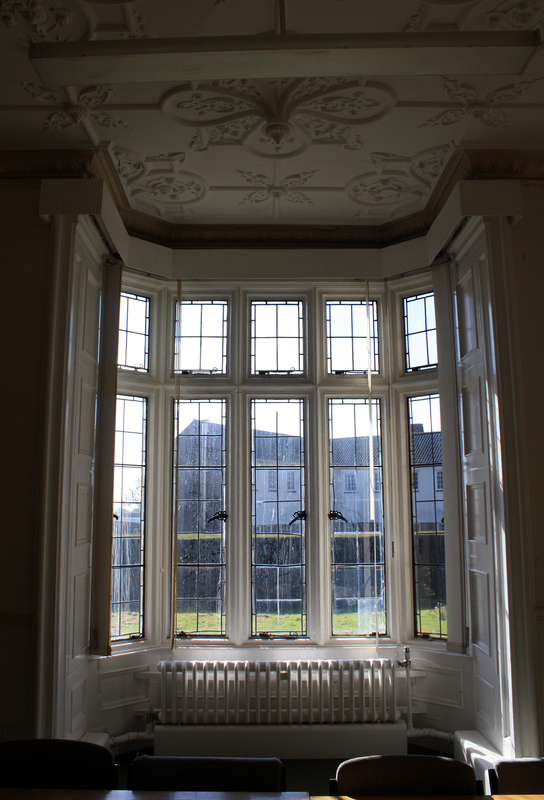 One of the large bay windows in the Committee Room showing the ornate plaster-work on the ceiling. In the Library the walls are lined with shelves and cupboards, and we found a number of interesting artifacts and objects when we were exploring. The Library at Llanfrechfa Grange. 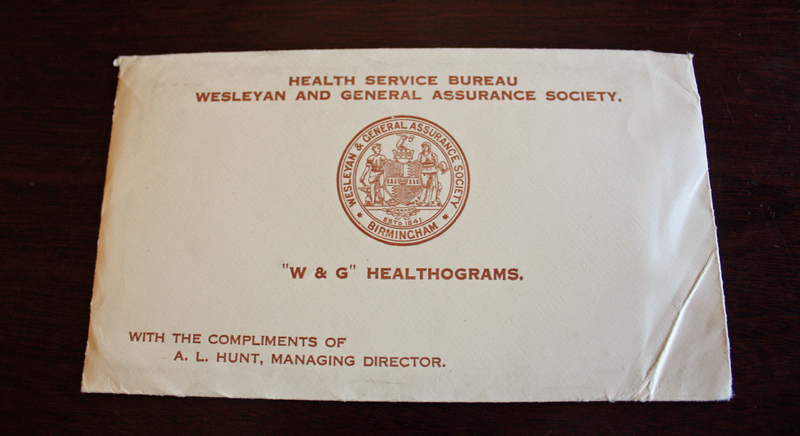 A packet of ‘Healthograms’ issued by the Health Service Bureau – Wesleyan and General Assurance Society. “Healthograms” found in the Library. 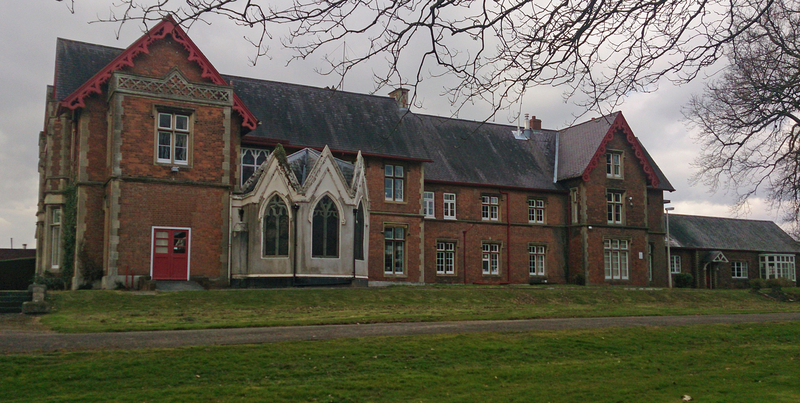 The exterior of Grange House from behind showing the octagonal chapel.